Life With a Whisk: Double my pleasure. 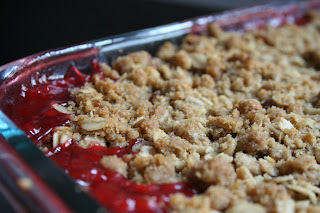 This was my first time baking with rhubarb and I really liked it. The ginger in the crisp part was what made it special for me. Gorgeous crisp! 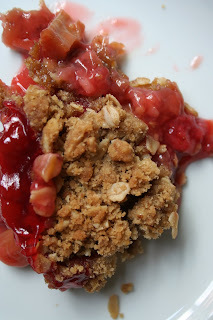 Love love love rhubarb! Could you please send me an e-mail about May hosting? iahawk89 at comcast dot net. Thanks! yes, all crisps should be double-crisps! glad you are loving strawberry-rhubarb.